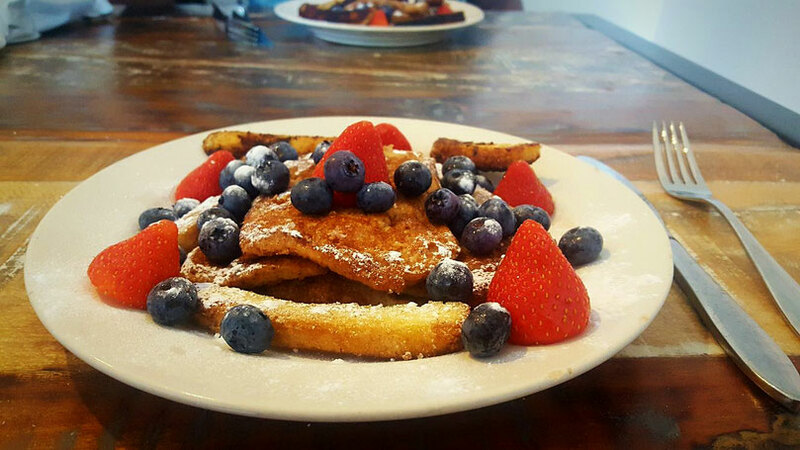 So I had this amazing mouthwatering birthday breakfast three weeks ago and I just HAD to share the recipe. The recipe of French toast is not difficult at all. And if you never had it in your childhood you missed out big time! Since I'm lactose intolerant so I try to use plant based milk as often as possible. Fun fact: French Toast was created back in the day because the people did not want to throw out food. To make old bread eatable they soaked it in eggs and milk and baked it. Hmmmm I love it! Mix egg, milk sugar and cinnamon in a bowl. Heat your pan and add butter. Soak the slices of bread in the mixture for a couple of seconds. put the bread in the pan and turn regularly until golden brown. 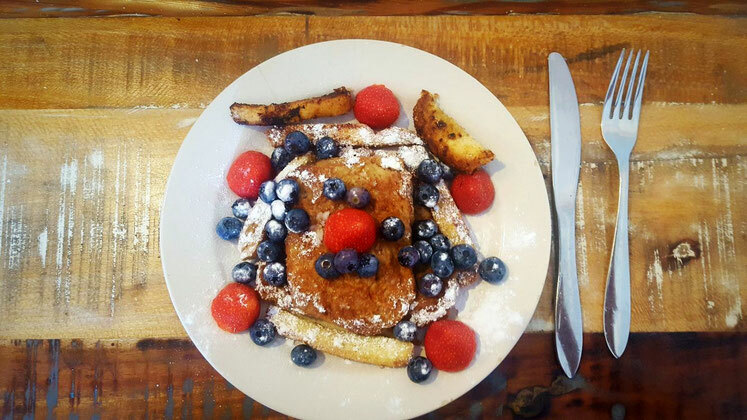 Place the French toast on a plate and top it off with fresh fruit and powdered sugar. That's it folks! Told you it was easy. Do you like this recipe? Did you already make it? What are your thoughts about it? Leave a comment below and let me know.